Pamm Fair, who joined the Screen Actors Guild staff in 2002 and served as a deputy national executive director, is resigning from the organization effective December 31, 2009. No immediate replacement will be named to her position and Fair remains on staff through the end of the year to transition responsibilities. What: Screen Actors Guild National Agency staff will hold a bi-coastal educational seminar on general service agreements, or GSAs (i.e. the contracts that ATA/NATR agents have been using to represent our members instead of the standard SAG agency contract). These GSA contracts are signed outside of SAG’s protection, and it is imperative that members have a working knowledge of what these contracts say before signing them—your professional future and your income may depend on it. This educational seminar will be especially helpful to any member who is having trouble making sense of the complicated legal language contained in the contracts that their agents have provided them. We urge all SAG members to attend. This event will not be taped. Los Angeles: James Cagney Board Room (first floor), 5757 Wilshire Blvd, Los Angeles, CA 90036. Parking will be validated. Who: The seminar will be conducted by the National Director and Senior Counsel of Agency Relations, Zino Macaluso, and the Senior Agency Manager, Xochitl Cerda, in Los Angeles. Members in New York will participate live via videoconference. We strongly encourage all members who attend to bring a notepad and pen with them to these meetings. *RSVP: Performers interested in attending should immediately email the Guild’s agency mailbox at agentquestion@sag.org. Please write SAG GSA Seminar—Reservation in the subject line. YOU MUST ALSO INDICATE IF YOU ARE PARTICIPATING FROM HOLLYWOOD OR NEW YORK. Only those members who have received confirmation emails from SAG may attend, so please act quickly as seating is limited. Questions about upcoming events should be directed to the SAG Agency Department at (323) 549-6745 (Hollywood) or (212) 827-1445. (Any performer who has to cancel a reservation is asked to notify SAG immediately so that members on the waiting list may be contacted). Thank you. We look forward to seeing you on Wednesday, December 2, 2009. All paid-up SAG members in good standing will be able to attend. Unfortunately, no guests allowed. Parents/guardians of young performers under 18 years-old are welcome. PLEASE BRING YOUR SAG MEMBERSHIP CARD FOR ADMITTANCE (paid thru October 31, 2009). LOS ANGELES AND NEW YORK (October 24, 2009)—The National Board of Directors of the American Federation of Television and Radio Artists (AFTRA), a national union of more than more 70,000 performers, journalists, broadcasters, recording artists and other talent working in the entertainment and news media, met today by videoconference plenary in Los Angeles and New York. The AFTRA National Board approved that the tentative agreement with the video game industry for an extension to the AFTRA Interactive Media Agreement, which is currently set to expire on December 31, 2009, be sent out for ratification by a referendum vote of the affected members who perform work under the contract. The Board is sending out the referendum with an overwhelming and strong recommendation for a yes vote on the new terms. The AFTRA Interactive Media Steering Committee, which is made up of members from around the country who work under this agreement, and the AFTRA Administrative Committee previously approved and recommended to the Board the tentative agreement, which was reached with video game employers in early October. If ratified, the 15-month extension will take effect on January 1, 2010, and remain in full force until March 31, 2011. The extension delivers a 2.5 percent wage increase and a 0.2 percent increase in employer contributions to the AFTRA Health and Retirement Funds, both effective April 1, 2010, and a new liquidated damages payment provision to incentivize employers to give notice of vocally stressful work – the first-ever such payment under any union contract. The agreement also preserves the extra “Remote Delivery” payment for performers – currently 135 percent of the original session fee – and establishes a new category of performance called “Atmospheric Performer” that will provide the potential for organizing additional work opportunities for union performers. In her report to the Board, AFTRA National Executive Director Kim Roberts Hedgpeth announced that the union is moving forward on the internal organizing plan overwhelmingly approved by delegates to the AFTRA National Convention this past summer. Hedgpeth also reported that the AFTRA Los Angeles Local Unable to Locate (UTL) Fund has paid more than $2 million to more than 3,000 members since 2007. A new tracking system was implemented in September 2008 to help identify and locate members for whom the union receives payments, but is unable to find through standard procedures. Past National President Shelby Scott, who serves as Union Chair of the AFTRA Health and Retirement Funds Board of Trustees, reported that as of September 2009, the Retirement Fund investments are up more than $100 million since she last reported to the Board in August at its face-to-face plenary in Chicago, and the Health Fund has more than a year’s reserves. In other actions, the Board approved a number of member committee appointments, and received reports from the Finance, Equal Employment Opportunities, Governance and Health and Retirement Issues Committees. The AFTRA National Board is next scheduled to meet via videoconference plenary session in Los Angeles and New York in February 2010. You are invited to attend the following Ratification Meetings to VOTE on the Tentative Agreement reached between the Producers and Screen Actors Guild regarding the 2009 Interactive Media Agreement, which covers video games. Please inform your fellow union members who work under this agreement about this important meeting. Participation is limited only by fire department regulations. All paid-up SAG members in good standing can attend. Unfortunately, no guests allowed. Parents/guardians of young performers under 18 years-old are welcome. PLEASE BRING YOUR SAG MEMBERSHIP CARD FOR ADMITTANCE (paid thru October 31, 2009). and Radio Artists (AFTRA) will increase from the current $1,300 to $1,600 effective November 1, 2009 with the increase to be specifically earmarked for organizing. They will still offer a payment plan after November 1 of course, but they wanted to make sure that those of you considering AFTRA membership were aware of this scheduled increase. WHITE CAN DROP "INTERIM" FROM HIS TITLE. NATIONAL BOARD MEETING GOES INTO SECOND DAY. NO RESPONSE FROM MEMBERSHIP FIRST PARTISANS AT PRESS TIME. NO OFFICIAL BREAKDOWN OF HOW BOARD MEMS VOTED. Los Angeles (October 18, 2009) -- Screen Actors Guild announced today that its National Board of Directors appointed David P. White as National Executive Director and Chief Negotiator. White has been serving as the Guild's Interim National Executive Director since January of this year. The board approved a two-year contract, by a vote of 70.91% to 29.09% at its national board meeting in Los Angeles this weekend. Screen Actors Guild National President Ken Howard commented, "I am very pleased that our board has selected David White as National Executive Director. David is a highly skilled professional, with a remarkable ability to listen to the concerns of all sides of complex issues. He is respected by members and staff and I am confident that under his leadership, the Guild will continue building on the achievements he has overseen in the past nine months. We now have six previously open contracts ratified, new cost saving and administrative improvements in place, and innovative initiatives underway. I congratulate David on this position and look forward to working with him during my term as President." White stated, "I am honored to accept this position and want to thank the National Board, and the many members who have reached out to me, for their support and statements of confidence in my leadership. I particularly want to extend my personal thanks to my colleague John McGuire for stepping up to the plate during this transition. "We will continue to get our house in order-financially and strategically. I have great confidence in the Guild's ability to navigate the dramatic changes taking place in our industry. Screen Actors Guild has a remarkable history and we look forward to the extraordinary future that we know awaits us." Secretary-Treasurer Amy Aquino stated, "Screen Actors Guild is extremely lucky to have David White at the helm for another two years. From his hiring nine months ago, he made it a top priority to make a clear and unflinching assessment of SAG's financial situation, and then he took the difficult and necessary steps to address it. David truly appreciates and admires actors and understands the challenges we face as professionals. His expertise and previous tenure at the Guild make him the perfect choice for this crucial position, and his strategic vision will help SAG thrive as we navigate this critical phase in our history." SAG veteran executive John McGuire, who was appointed chief negotiator when White came on as interim national executive director, will continue as senior advisor. Prior to rejoining the Guild staff, where he previously served as General Counsel from 2002 to 2006, White was Managing Principal of Los Angeles-based Entertainment Strategies Group (ESG) providing consulting services to the entertainment industry. During his tenure as the Guild's General Counsel, White directed the organization's 40-person legal and governance staff, and played a central role in contract negotiations, strategic planning efforts and diversity programs. A graduate of Stanford Law School and a Rhodes Scholar, White was a labor and employment attorney at O'Melveny & Myers LLP before joining the executive ranks of SAG. Prior to law school, White served as Executive Director of the neighborhood-based, non-profit Youth Opportunities Unlimited, Inc. He also consulted for the Department of Justice, the Chapin Hall Center for Children (University of Chicago) and a variety of urban development projects in the United States, England and South Africa. White has been selected as a "Southern California Super Lawyer - Rising Star" and has received numerous other awards for his work and service throughout his career. He is the former Co-Chair of the Sports & Entertainment Labor Law Standing Committee of the American Bar Association. He is currently Chairman of the Board of Trustees of his alma mater, Grinnell College, and was appointed by the Mayor of Los Angeles as a Commissioner for urban area planning and development. White has served on the Board of Advisors for the Association of Media and Entertainment Counsel and a member of the Board of Advisors for the Posse Foundation-LA, an organization dedicated to expanding educational and leadership opportunities to students across Los Angeles County. White has been a contributing writer for the Los Angeles Lawyer and, as a frequent commentator on entertainment industry trends, has been quoted on National Public Radio's "Marketplace," and in the Los Angeles Times, the Los Angeles Daily Journal, the Hollywood Reporter, Daily Variety, Broadcasting & Cable, and other publications. Los Angeles (October 15, 2009)-Screen Actors Guild and the American Federation of Television and Radio Artists announced today that the AFTRA Administrative Committee and Screen Actors Guild National Board of Directors have approved an 18-month extension to the SAG Industrial and Educational Contract and AFTRA Code of Fair Practice for Non Broadcast/Industrial/Educational Recorded Material. The contracts, which were set to expire on Oct. 29, 2009, will now be effective Nov. 1, 2009, to April 30, 2011. In addition to the extended term, the agreement includes a 0.5% increase in employer contributions to the Screen Actors Guild-Producers Pension and Health Plans and AFTRA Health and Retirement Funds, effective Nov. 1, 2009, and an important clarification that work produced under the contracts is not and never has been intended for the production of commercials. “We’re glad to have achieved this extension jointly with AFTRA and look forward to joint negotiations again on the Industrial and Educational Contract in 2011,” said Ray Rodriguez, the Screen Actors Guild deputy national executive director who oversees contracts. “The increase in employer contributions to our health and retirement plans, along with the confirmation by the industry that the Non-Broadcast Code cannot be used for commercial production are important achievements in this extension agreement,” said Mathis L. Dunn, Jr., Chief Negotiator for AFTRA. The SAG and AFTRA contracts cover performers rendering on-camera and voiceover services in sales programs, educational and training videos, informational and promotional messages seen in stores and video included in certain consumer products, and other projects that are exhibited outside of the traditional broadcast arena (with AFTRA’s contract also covering audio-only content, such as telephone messages and sound included in consumer products). Veteran negotiator Carol Lombardini has been named President of the Alliance of Motion Picture and Television Producers (AMPTP), the industry’s bargaining representative in labor negotiations with the motion picture industry Guilds and Unions in the United States and Canada. Lombardini has played an instrumental role in the more than 300 major Guild and Union contracts negotiations over the course of her 27-year career at AMPTP. As AMPTP President, Lombardini will serve as the industry’s chief negotiator on more than 80 industry-wide collective bargaining agreements on behalf of over 350 motion picture and television producers. In observance of Columbus Day, Screen Actors Guild will be closed Monday, October 12. Come be heard at the 2009 National Membership Meeting. Parking: Parking will be validated. Please read all posted signage. Guild is not responsible for illegally parked vehicles. No RSVP necessary. For more information call (323) 549-6447 or email specialevents@sag.org. The membership meeting is only open to paid-up SAG members in good standing. Unfortunately, no guest allowed. Parents/guardians of young performers under 18 years-old are welcome. PLEASE BRING YOUR SAG MEMBERSHIP CARD FOR ADMITTANCE (paid thru October 31, 2009). You may have noticed the rapidly changing pace of the industry and of technology itself. It seems like every week a commercial breakdown comes out with new terminology in it that makes you question which Screen Actors Guild contract the job falls under. In an effort to clarify some commonly used terms and how they apply to the Commercials Contract, we have chosen two areas of discussion that we, the SAG staff, get questions on every day. We hope you find them useful. The term “webisode” is used to describe content that is made for and airs specifically on the Internet. For the framework of this discussion, the terms “webisode” and “web content” will be applied specifically to commercials and ad-related content. A webisode is a one-off commercial for an advertiser or a web series created for a long term campaign. A webisode or web content for an advertiser may or may not feature a product. Ad campaigns with overtly entertainment-based content and no typical commercial message are known as “branded entertainment” or “branded content.” With branded content, an advertiser attempts to link its product or service with a wider audience by adding another creative layer to its brand marketing strategy. Sometimes the advertiser will create a microsite–a webpage separate from the advertiser’s homepage that may have a different domain name – on which to air the webisode(s), so at first there may appear to be no direct link to the advertiser. Branded content/entertainment is financed by the advertiser. Under the Commercials Contract, a webisode can be anywhere from 15 seconds to 3 minutes in length. Any web content of significant length is evaluated by SAG staff to determine whether it falls under the Commercials Contract or the Industrial & Educational Contract. SAG has had jurisdiction over Internet commercials since 2000. The term “mobisode” was originally coined to define television episodes that were reformatted for mobile devices/cell phones and for episodic content created specifically for mobile devices/cell phones. This term has expanded to include commercials and/or branded entertainment shown on mobile devices. Under the Commercials Contract, new media is defined as “digital, electronic, or any other type of delivery platform including, but not limited to, commercials delivered to mobile phones and other digital and electronic media. The term new media is intended to be all inclusive of digital, electronic or any other type of delivery platform, whether now known or unknown.” Please be aware that for commercials, the term new media does not apply to commercials on the Internet. A commercial that is available for viewing by using the web browser on a BlackBerry would be considered Internet use. A commercial that pops up on a cell phone via a digital network available only from a particular wireless provider (i.e., Verizon) would be considered new media use. SAG has had jurisdiction over new media commercials since 2006. Jonathan Handle reports on the on-going lawsuit filed by ex-President Alan Rosenberg and current VP Anne Marie Johnson against The Screen Actor's Guild. Alan Rosenberg is no longer president of SAG, nor even a national board member, but his lawsuit against his own union drags on pointlessly. Believe it or not, he’s still trying to undo Doug Allen’s firing, the appointment of David White, the ratification of the TV/theatrical contract and, no doubt, the discovery of a new ring around Saturn. That last is probably a particularly bitter blow for the ex-president. Rosenberg and his fellow Membership First plaintiffs 1st VP Anne-Marie-Johnson and board members Diane Ladd and Kent McCord might see some reason to continue the charade, but the Court of Appeal is apparently more skeptical: in a one-paragraph letter to counsel last week, the court asked both sides’ lawyers to be prepared to discuss at oral argument whether the appeal is moot, given that the SAG board reaffirmed Allen’s dismissal and White’s appointment, and the membership at large ratified the TV/theatrical agreement. Read more HERE at Digital Media Law. FOR COLUMBUS DAY. SAG RE-OPENS ON TUESDAY, OCTOBER 13, 2009. Please join SAG members, staff, allies and National Chairs Jason Stuart and Chad Tyler of the SAG National LGBT Actors Committee, as we gather in the nation’s capital to let elected leaders know that now is the time for full federal equality for lesbian, gay, bisexual and transgender people. Please let us know if you’re planning to attend the National Equality March: Email us at LGBTactors@sag.org and please put ‘DC March’ in the subject line. Look for the Screen Actors Guild banner. Once we have all gathered, we will proceed to the march route a few blocks away. To get updates on the march and other events that day, please let us know if you plan to attend by sending an email to LGBTactors@sag.org and put ‘DC March’ in the subject line. Marriage Equality NY (MENY) is organizing buses and buses/hotels from New York City metro area to Washington, D.C. Please contact dcmarch@meny.us for full info, to volunteer, to donate, etc. Click to download PDF file of the march route and click to download a large map of the DC area. Los Angeles (Oct. 7, 2009) – The Screen Actors Guild Hollywood Division Board of Directors and New York Division Board of Directors elected the union’s 1st vice president and 2nd vice president on Monday. The Hollywood Division Board re-elected by acclamation Anne-Marie Johnson to the position of 1st vice president of Screen Actors Guild. The 1st vice president also serves as chair of the Hollywood Division Board. The New York Division Board elected Division President Mike Hodge to the position of 2nd vice president. 1st Vice President Anne-Marie Johnson said, “I am honored to have been re-elected 1st vice president of the Screen Actors Guild and I hope to continue to help lead with honesty, inclusion and determination. We are and will be facing extraordinary challenges and it is my responsibility, as SAG’s 1st V.P., to do my best to continue to put the concerns and well being of SAG members first. Johnson is a 25-year SAG member who has served the Guild on the Hollywood Division and National boards over the course of the last decade. She is an accomplished film and television actor and has starred in several successful television series, including In The Heat of the Night, What’s Happening Now, In Living Color and Melrose Place. Johnson co-starred as Donna Cabonna on The Disney Channel’s hit television series That’s So Raven, and for five seasons she portrayed Congresswoman Bobbie Latham on CBS’ hit military drama JAG. Johnson appeared for two seasons on the hit UPN comedy Girlfriends as “Sharon Upton Farley.” Her feature film credits include L.A. Riots Spectacular, Hollywood Shuffle, Strictly Business, I’m Gonna Git U Sucka, Robotjox, True Identity, Down in the Delta, Pursuit of Happiness and Legacy of A Hit Man. Johnson has served three prior terms as 1st national vice president and has also served as chair of the SAG National Ethnic Employment Opportunity, Communications and Legislative committees. Hodge has been on the Screen Actors Guild Board of Directors for nine years. As a national director, he has served as New York Division secretary and vice president. As a member of the New York Division Legislative Committee, he testified before the New York City Council in the successful effort to get city tax incentives and furthered lobbying efforts at the New York State Legislature. (The additional incentives have been significantly responsible for the growth of television and film production in the city and state.) He has also been a part of the Guild Governance, Communications and Negotiations committees. Hodge’s acting has included guest-starring roles in television with recurring work on Law and Order and Fringe, as well as film, commercial and stage work, including four Broadway shows. The Regional Branch Division will elect the 3rd national vice president at its next two-day board meeting October 15 and 16. Los Angeles (October 2, 2009) - Screen Actors Guild (SAG) and the American Federation of Television and Radio Artists (AFTRA) today announced they have reached tentative agreements with video game companies on new contracts. The agreements -- which become effective upon ratification and remain in full force until March 30, 2011 - achieve parity between the AFTRA and Screen Actors Guild contracts and include contemporaneous expiration dates of March 30, 2011. In addition, the contracts deliver a 3 percent wage increase upon ratification for SAG, thereby bringing SAG's wages into parity with AFTRA's, and another 2.5 percent increase on April 1, 2010, for both unions. Both pacts contain increases in benefit contributions and a liquidated damages provision to incentivize employers to give notice of vocally stressful work. The contracts also establish a new category of performance for "atmospheric voices" that is designed to increase work opportunities for union performers by allowing Producers the flexibility to record multiple minor character voices in a single session. The agreements also establish a cap of $125,000 on contributions to the AFTRA Health and Retirement and SAG Pension and Health funds. The cap will only apply to performers who are paid more than $125,000 by a single producer in a single year for work done on the same game franchise. The tentative agreements must be approved by Screen Actors Guild's National Board of Directors and the AFTRA Administrative Commitee, both of which will meet in the coming weeks. * The achievement of parity between the SAG and AFTRA contracts including contemporaneous expiration on March 30, 2011. * A 3% wage increase for Screen Actors Guild members upon ratification and additional 2.5% increase on April 1, 2010, for both unions. * A .5% increase in the pension and health contribution rate for Screen Actors Guild member effective upon ratification and another .2% on January 1, 2010, for both unions (bringing the total rate to 15%). * The establishment of a $100 liquidated damage for failure to give notice of vocally stressful work. * An agreement to develop during the term of the contract a set of guidelines for conducting vocally stressful work. LOS ANGELES (September 30, 2009)—Newly minted Screen Actors Guild National President Ken Howard made his first public appearance in his official capacity Monday night. The event was a SAG American Indian membership caucus hosted by SAG National President’s Task Force on American Indians, and SAG Affirmative Action & Diversity. Howard’s remarks demonstrated his strong, personal commitment to diversity within the entertainment industry, which also has been an ongoing historical mission of Screen Actors Guild. “By pulling together we can achieve a greater awareness and commitment to fair employment practices on the part of industry decision-makers and ultimately we will see expanded casting and hiring,” Howard told members. But he noted that making strides is never easy. Howard related his own experiences in pitching The White Shadow to network television in the 1970s. The story chronicled the efforts of a white high school basketball coach working with a predominantly African American inner-city team. While the show was ultimately produced, achieving critical acclaim and syndication, there were initial concerns that audiences might not respond to a drama featuring so many non-Caucasian actors in major roles. While views on diversity have evolved, there is more work to do and Screen Actors Guild members can help change attitudes, Howard said. The audience, which included about a half dozen Writers Guild of America, West cardholders, also were empowered by a screening of a segment from the PBS miniseries Trail of Tears and subsequent panel discussion with casting director Rene Haynes, actor Russell Means, actor Tonantzin Carmelo, President’s National Task Force Chair Delanna Studi and SAG Affirmative Action Diversity National Director Rebecca Yee. For more information about upcoming Diversity and Affirmative Action Events, check the Diversity page of SAG.org, or e-mail diversity@sag.org with questions. KEN HOWARD WINS SAG NATIONAL PRESIDENCY. AMY AQUINO WINS SECRETARY-TREASURER. MODERATES SHOW WELL IN ALL AREAS OF ELECTION. LOW VOTER TURN-OUT. MEMBERSHIP FIRST DELIVERS 'NAMES' IN HOLLYWOOD BOARD RACE. UNITE FOR STRENGTH SHOWS GREATER STRENGTH IN HOLLYWOOD, NY AND THE RBD. Los Angeles (September 24, 2009)—Screen Actors Guild today announced results of elections for its top two elected positions. Ken Howard will serve as Screen Actors Guild president and Amy Aquino will serve as secretary-treasurer. Both will serve two-year terms beginning September 25. Ballots were mailed to 99,485 paid-up SAG members on August 25, and 27,295 were tabulated today, for a return of 27.44 percent. Presidential candidates Ken Howard received 12,895 votes, with Anne-Marie Johnson coming in second with 8,906 votes, Seymour Cassel got 4,838 votes, and Asmar Muhammad received 402 votes. Screen Actors Guild also announced election results for the National Board of Directors. Twenty-two of the 69 national board seats were open for election this year, representing Screen Actors Guild’s Hollywood, New York and Regional Branch divisions. The National Board members elected today will assume office on September 25 for terms of three years. SAG’s Hollywood Division elected eleven National Board members; the New York Division elected four National Board members; and seven National Board members were elected from the union’s branches in Chicago, Colorado, Florida, Hawaii, Philadelphia, Portland and San Diego. National Board members elected from the Hollywood Division: Martin Sheen, Ed Harris, Elliott Gould, Ed Asner, Anne-Marie Johnson, Connie Stevens, Diane Ladd, Dulé Hill, Hill Harper, Nancy Travis, and Marcia Wallace (all three-year terms). The following were elected to serve as National Board alternates and to the Hollywood Division Board of Directors (all one-year terms). Gabrielle Carteris, Jenny O’Hara, Michael O’Keefe, Clyde Kusatsu, Dawnn Lewis, Doug Savant, Michelle Allsopp, Alan Rosenberg, D. W. Moffett, Joe Bologna, Robert Hays, Jason George, L. Scott Caldwell, Clark Gregg, Patrick Fabian, Bill Smitrovich, Ellen Crawford, Stacey Travis, Mandy Steckelberg, Renee Taylor, Bernie Casey and John Carroll Lynch. National Board members elected from the New York Division: Sharon Washington, Monica Trombetta, Sam Freed and Liz Zazzi (all three-year terms). Additionally, New York Division members elected Mike Hodge as NY Division President. The following were elected to serve as national board alternates and to the New York Division board of directors (all one-year terms.) Manny Alfaro, Sheila Head, Marc Baron, Joe Narciso, Jay Potter, Dave Bachman, John Rothman, Kevin Scullin and Justin Barrett. National Board members elected from the Regional Branch Division: John Carter Brown (Chicago – three-year term), David Hartley-Margolin (Colorado – three-year term), Dave Corey (Florida – three-year term), Scott Rogers (Hawaii – three-year term), Helen McNutt (Philadelphia – three-year term), Mary McDonald-Lewis (Portland – three-year term), Don Ahles (San Diego – three-year term). Ballots for all eligible SAG members in Hollywood and New York were mailed on August 25 with a September 24 return deadline and were tabulated today by the independent election company Integrity Voting Systems. A total of 13,718 ballots were tabulated in the Hollywood Division (representing 25.25 percent of ballots mailed in the Hollywood Division) and 5,997 ballots were tabulated in the New York Division (representing 26.11 percent of ballots mailed in the New York Division). The number of ballots returned in the Regional Branch elections varied by region. I am deeply honored to be chosen by the membership to lead the Screen Actors Guild. I campaigned on the promise that I’d do everything in my power to strengthen our position at the bargaining table by building greater unity with AFTRA and the other entertainment unions – and that’s exactly what I intend to do. But SAG can’t reach out effectively to other unions, let alone stand strong in negotiations with our employers, if we aren’t united within our own ranks. thing – and by pulling together, we’ll only grow stronger. I’d like to congratulate Anne-Marie Johnson on her campaign. Anne-Marie is one of the most dedicated, knowledgeable and articulate advocates within SAG leadership, and her campaign demonstrated that. In the end, members decided on a leadership approach for the Guild different than the one she offered. But Anne-Marie’s re-election to a national board seat reflects the value many members place on her contributions to SAG. I look forward to working with her as we move ahead. I also want to congratulate everyone elected to board and officer positions in New York and throughout our Regional Branches, as well as our new Secretary-Treasurer, Amy Aquino, and all the candidates elected to the board from Hollywood. I am truly honored that the members have entrusted me with this responsibility. Progress has already been made toward strengthening SAG’s finances and I want to make sure it continues. I look forward to working with David White, CFO Arianna Ozzanto, other elected members and staff to build SAG’s resources and improve the outlook for the future. Only by fortifying SAG in this way can we hope to ensure the protections that performers need in these challenging times. I offer my thanks to Connie Stevens for her years of dedicated service. Along with building SAG’s fiscal strength, I look forward to working with our new president Ken Howard and all the Guild’s elected leaders to build consensus and to prove what a truly united Screen Actors Guild can do. On September 22, 2009, Screen Actors Guild announced the election results for the Philadelphia Branch elections. Those members elected as Council Members at Large may also be selected as Alternate National Directors who may be called upon to serve at National Board Meetings when the National Board member from the Philadelphia Branch is unavailable to attend. The newly elected leaders will assume office on September 25, 2009. On September 22, 2009 Screen Actors Guild announced the election results for the Seattle Branch Elections. Those members elected as Officers and Council Members at Large will also be elected as Alternate National Directors who may be called upon to serve at National Board Meetings when the National Board member from the Seattle Branch is unavailable to attend. Reports have been coming in regarding election results for the Regional Branches. SEATTLE: John Patrick Lowrie wins Regional Branch Presidency. SAN DIEGO: Don Ahles wins and retains RBD Presidency in San Diego. PHILADELPHIA: Helen McNutt is re-elected. No official breakdowns or statements yet. We'll post them as they come in. There are a variety of ways in which a member can serve the Union and committee service is a great way to lend your talents, experience and knowledge of the industry to benefit the Guild and its members. If you are interested in serving your Union, you are encouraged to complete the appropriate Committee Service Request Form for your Division and return it to the Regional Branch Division Office of Administration via email, fax, mail or in person. Once the completed form is received, the request will be forwarded to the appropriate Committee Chair for consideration. You will be notified by the Guild in November if you have been selected for service. With the exception of a few committees, all committees are reconstituted following the Guild’s annual elections in September. Therefore, if you wish to be considered for service in the 2009-2010 Committee Year, please submit the appropriate Committee Service Request Form by September 30, 2009. On the SAG Committee’s section of the website, you will also find information on the Guild’s committee structure as well as lists of committees and descriptions. If you have any further questions, we are here to help! Please contact Lisha Brock for more information at (972) 361-8185 or by email at lisha.brock@sag.org. 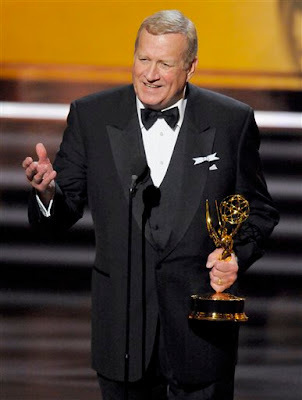 (Sunday, 20 Sept. 2009) Ken Howard, SAG candidate for National president, wins Emmy for HBO's "Grey Gardens"! This was his first win. Ken Howard won the supporting actor award for the HBO mini-series. He told reporters afterward that he hoped that the miniseries would make a comeback in television. Said Howard, "You get a long time to devote to the character. It's a great form, and I hope it comes back. It's great for actors and great for the audience." The evening also marked the anniversary of his wife's birthday, to whom he dedicated the win. LOS ANGELES -- The Writers Guild of America, West (WGAW) has announced the final results of its 2009 WGAW Officers and Board of Directors election. The following members were elected to serve as Officers: President – John Wells; Vice President – Tom Schulman; Secretary-Treasurer – David N. Weiss. "I'm remarkably humbled by the membership returning me to the Presidency of the Guild. I look forward to working with the Board again and to working with David Young and his talented staff to meet the many challenges that lie ahead,” said Wells. “My congratulations to John Wells for his success in a hard-fought campaign. And my congratulations to all members elected to the board. We writers can be somewhat argumentative and opinionated, as anyone who has ever sat around a writers’ table knows. This campaign certainly highlighted some our differences. Now, it's time to pull together and work for the benefit of us all,” said Elias Davis. The following nine members were elected to the WGAW’s Board of Directors: Patric M. Verrone, Howard A. Rodman (inc.), Dan Wilcox (inc.), Linda Burstyn, Billy Ray, Steven Schwartz, Chip Johannessen, Carleton Eastlake, Ian Deitchman. There was a tie for the eighth seat on the Board of Directors. Under the Guild’s constitution, both candidates will be seated. NUMERICAL RESULTS: President: John Wells (1,191, 52.8%); Vice President: Tom Schulman (1,204, 55.5%), Secretary-Treasurer: David N. Weiss (1,114, 53.3%). Board of Directors: Patric M. Verrone (1,364, 10.1%), Howard A. Rodman (1, 270, 9.4%), Dan Wilcox (1,132, 8.4%), Linda Burstyn (953, 7.1%), Billy Ray (915, 6.8%), Steven Schwartz (914, 6.8%), Chip Johannessen (865, 6.4%), Carleton Eastlake (818, 6.1%), Ian Deitchman (818, 6.1%). The Officers and Board members will serve for a term of two years, effective immediately. OTHER RESULTS: Candidates for Officers: President: Elias Davis (1,066, 47.2%); Vice President: Howard Michael Gould (967, 44.5%); Secretary-Treasurer: Christopher Keyser (976, 46.7%). Candidates for members of the Board of Directors: Mick Betancourt (766, 5.7%), Jeff Lowell (745, 5.5%), Jan Oxenberg (725, 5.4%), Luvh Rakhe (636, 4.7%), David Wyatt (511, 3.8%), Jennifer Heath (437, 3.2%), Eric Wallace (273, 2.0%), Jed Weintrob (239, 1.8%). A total of 2,348 valid ballots were cast, making this one of the largest election voter turnouts in WGAW history – illustrating ongoing Guild member engagement. The ballot count was supervised by Robbin Johnson of Pacific Election Services, Inc., an independent firm. The Writers Guild of America, West (WGAW) is a labor union representing writers of motion pictures, television, radio and Internet programming, including news and documentaries. Founded in 1933, the Guild negotiates and administers contracts that protect the creative and economic rights of its members. It is involved in a wide range of programs that advance the interests of writers, and is active in public policy and legislative matters on the local, national and international levels. For more information on the WGAW, please visit: www.wga.org. ELECTION RESULTS WGA-EAST: THOSE WHO PUT WORDS IN ACTOR'S AND PERFORMERS MOUTHS. Michael Winship, running unopposed, senior writer for "Bill Moyers Journal," has been re-elected to a second term as President of the WGAE. Bob Schneider, a television and screen writer, was re-elected to a second term as Vice President. Gail Lee,running unopposed, a writer/producer at CBS News, was re-elected to her seventh term as Secretary-Treasurer. The terms begin immediately and run through September 2011. 427 valid ballots cast in the election.Bob Schneider received 230 votes (53.9%) versus vice presidential candidates Tom Phillips, who received 118 votes (27.6 %) and Ambrose J. Raftery, who received 39 votes (9.1%). Please be advised that Nickelodeon is not signed to the AFTRA Television Commercials Contract or the AFTRA Radio Commercials Contract. Although AFTRA has collective bargaining agreements with Nickelodeon covering other types of programs, members are prohibited from accepting employment for commercial services by Nickelodeon or by any other employer, unless that employer is signatory to the applicable AFTRA TV or Radio Commercials Contract. Franchised Talent Agents should check and verify the signatory status of an employer who seeks to engage their AFTRA member clients for services in a broadcast, cable or Internet commercial. If you have questions about this notice, about the signatory status of an employer, or about whether a particular project is commercial in nature rather than a covered program or promo, please contact your nearest AFTRA office. About I AM PWD: I AM PWD is a global civil rights campaign seeking equal employment opportunities for people with disabilities throughout the entertainment and news media. I AM PWD was founded by members of Screen Actors Guild, AFTRA and Actors’ Equity Association to bring media and public attention to the issues of media access, inclusion and accuracy for people with disabilities. You can visit I AM PWD online at IAMPWD.org. Henry Gibson, the beloved character actor best known for his role reciting offbeat poetry on "Rowan & Martin's Laugh-In," has died. He was 73. Gibson died Monday, September 14, 2009, at his home in Malibu after a brief battle with cancer. After serving in the Air Force and studying at the Royal Academy of Dramatic Arts, Gibson — born James Bateman in Germantown, Pa., in 1935 — created his Henry Gibson comic persona, a pun on playwright Henrik Ibsen's name, while working as a theater actor in New York. For three seasons on "Laugh-In," he delivered satirical poems while gripping a giant flower. After "Laugh-In," Gibson went on to appear in several films, including "The Long Goodbye" and "Nashville," which earned him a Golden Globe nomination. His most memorable roles included playing the menacing neighbor opposite Tom Hanks in "The 'Burbs," the befuddled priest in "Wedding Crashers" and voicing Wilbur the Pig in the animated "Charlotte's Web." His recent work included playing cantankerous Judge Clarence Brown on ABC's "Boston Legal" for five seasons and providing the voice of sardonic, eye-patched reporter Bob Jenkins on Fox's "King of the Hill." In 2001, Gibson returned to the stage in New York in the Encores! New York City Center production of Rodgers and Hart's "A Connecticut Yankee." Gibson is survived by three sons and two grandchildren. PITTSBURGH (September 16, 2009)---Roberta Reardon, National President of the American Federation of Television and Radio Artists (AFTRA), released this statement today following her nomination and election to a seat on the AFL-CIO Executive Council and the election of Richard L. Trumka as president of the AFL-CIO: "I am profoundly honored to have been elected to serve on the Executive Council of the AFL-CIO, the nation's largest labor federation representing more than 11 million workers in 56 national and international labor unions. I would like to thank IATSE President Matt Loeb for his nomination and President Trumka for his support. I am deeply grateful to my fellow AFL-CIO Convention delegates for the honor of electing and entrusting me with this incredible responsibility. I look forward to serving on the Executive Council as a new opportunity to represent not only the members of my union, AFTRA, but all working men, women and children in the American labor movement. "On behalf of the 70,000 members of AFTRA, I am delighted to congratulate Richard L. Trumka on his election as the new AFL-CIO President. As AFTRA members witnessed first-hand when then Secretary-Treasurer Trumka addressed our delegates at this summer's AFTRA Convention in Chicago, he is an effective, experienced and inspiring leader. "President Trumka's impressive career in organized labor, first with the United Mine Workers of America as a staff attorney, board member and ultimately as their president, followed by his distinguished service as Secretary-Treasurer of the AFL-CIO since 1995, make him an excellent choice for AFL-CIO President. His knowledge of the diverse issues facing working men, women and children, and AFTRA members in particular - from the Employee Free Choice Act, the Performance Rights Act, meaningful health care reform, Internet piracy and media consolidation to the importance of protecting quality journalism and diversity in the workplace, make him exactly the kind of tough and visionary leader to propel the American Labor movement forward in the 21st century. "We look forward to working closely with the dynamic team of President Trumka, Vice President Arlene Holt Baker and Secretary-Treasurer Liz Shuler as we work together to guide union members, and all Americans, back to the path of economic success and the bright future we all deserve. "We extend our deep and heartfelt appreciation to outgoing AFL-CIO President John J. Sweeney, for his courageous leadership and dedicated service during some of the most challenging years that working Americans have ever faced. Without his leadership, we would not be able to stand united with hope for our future. Whether airline pilots or nurses; longshoremen or administrative professionals; or performers, recording artists and broadcast journalists, the working families of America have had, and will continue to have, a strong advocate in our friend John Sweeney." The AFL-CIO is governed by a quadrennial convention at which all federation members are represented by elected delegates of our unions. Convention delegates set broad policies and goals for the union movement and every four years elect the AFL-CIO officers-the president, secretary-treasurer, executive vice president and 43 vice presidents. These officers make up the AFL-CIO Executive Council, which guides the daily work of the federation. The AFL-CIO Executive Council meets at least twice a year to consider important union movement business and policies. The council regularly issues statements on legislative measures affecting the interests of working families, ongoing struggles for justice for workers and more. An AFL-CIO General Board includes the Executive Council members, a chief officer of each affiliated union and the trade and industrial departments created by the AFL-CIO constitution and four regional representatives of the state federations. The General Board takes up matters referred to it by the Executive Council. About AFTRA: The American Federation of Television and Radio Artists, AFL-CIO, are the people who entertain and inform America. In 32 Locals across the country, AFTRA members work as actors, journalists, singers, dancers, announcers, hosts, comedians, disc jockeys, and other performers across the media industries including television, radio, cable, sound recordings, music videos, commercials, audio books, non-broadcast industrials, interactive games, the Internet and other digital media. The 70,000 professional performers, broadcasters, and recording artists of AFTRA are working together to protect and improve their jobs, lives, and communities in the 21st century. From new art forms to new technology, AFTRA members embrace change in their work and craft to enhance American culture and society. Visit AFTRA online at http://www.aftra.com/. I AM PWD* – Inclusion in the Arts and Media of People With Disabilities – in partnership with WGAW Writers with Disabilities Committee and Alliance for Inclusion in the Arts, will host an executive industry conference on accuracy and inclusion of and access for people with disabilities in entertainment on Saturday, October 24, 2009. A portion of the Hollywood Disabilities Forum will include an Actors Master Class for performers with disabilities. April Webster of April Webster and Associates Casting will be selecting performers to participate who will then be paired with another performer and given a short scene to memorize and rehearse before the class. The scenes will then be presented on the day of the forum, with highly-regarded actors and/or directors in the industry who will work with the actors in front of an invited audience of fellow performers and industry professionals. The dual purposes of the class is to provide awareness to industry decision makers of the wealth of untapped professional disabled actors out there ready to work, while the performers are given invaluable instruction in their craft. Eligibility requirements: You must be a performer with a disability and a member in good standing of Actors’ Equity Association, AFTRA or SAG. Submission deadline: Wednesday, September 23, 2009 no later than 4 p.m.
· ELECTRONIC SUBMISSIONS AND HAND-DELIVERIES WILL NOT BE ACCEPTED AFTER SEPTEMBER 23. · MAILED SUBMISSIONS POSTMARKED AFTER SEPTEMBER 23 WILL NOT BE ACCEPTED. · Please submit ONE headshot and resume along with a cover letter. · If necessary, please indicate any accommodations you may need in your cover letter. · Please do not submit DVDs, CDs, reels, or audio files. Please include your cover letter in the body of the email message. Performers selected to audition will be contacted no later than Tuesday, September 29 and must be available for auditions on Friday, October 1 or Thursday, October 2. Final selections will be made the week of October 5. MUST BE AVAILABLE on Saturday, October 24 in Los Angeles, from 8 a.m. – 2 p.m. for the Actors Master Class. Please call (323-549-6644) or email (diversity@sag.org) us with any questions. *I AM PWD is a national civil rights campaign seeking equal employment opportunities for people with disabilities throughout the entertainment and news media. I AM PWD was founded by members of Screen Actors Guild, AFTRA and Actors’ Equity Association to bring media and public attention to the issues of media access, inclusion and accuracy for people with disabilities. As reported at the 2009 AFTRA National Convention, AFTRA recovered more than $34.4 million in claims and H&R contributions for AFTRA members since the last Convention in the summer of 2007. This is real money that your union has pursued against employers and returned to AFTRA members. Although most of these claims were initiated by the union office through AFTRA’s normal enforcement and compliance efforts, some claims were initiated based on information we receive from you – the members – about late payments or payments not received at all, or discrepancies between your AFTRA H&R Earnings Report and your pay stubs, or seeing your commercial or TV show re-run but not receiving your residual. As a professional performer or journalist, stay vigilant and keep track of your earnings. Learn about what your AFTRA contract guarantees. Check your payments against your own records and time sheets. If you notice a mistake or have any questions, contact your AFTRA office right away, and we’ll help you figure it out. In this economy, every dollar counts, and AFTRA is here to help make sure that you and your family get all the money and benefits you deserve. Los Angeles, California (September 15, 2009) – Screen Actors Guild (SAG) announced today beloved comedienne, pioneering television producer, host, author and animal advocate Betty White, will receive the Guild’s most prestigious accolade—the Screen Actors Guild Life Achievement Award for career achievement and humanitarian accomplishment. White will be presented the Award, given annually to an actor who fosters the “finest ideals of the acting profession,” at the “16th Annual Screen Actors Guild Awards®”, which premieres live on TNT and TBS Saturday, January 23, 2010, at 8 p.m. ET/PT, 7 p.m. CT and 6 p.m. MT. Betty Marion White was born January 17, 1922, in Oak Park, Ill., the only child of Horace, an electrical engineer, and Tess, a housewife. The family moved to California when White was 2. After graduating Beverly Hills High School, White made her professional debut at the Bliss Hayden Little Theatre and landed parts in such popular radio shows as "Blondie," "The Great Gildersleeve" and "This Is Your FBI." Her first radio program, "The Betty White Show," followed. Her big break came in 1949, when she joined Al Jarvis’ five-and-a-half-hour, six-days-a-week live KLAC-TV variety show, “Hollywood on Television.” Starting out as Jarvis’ “Girl Friday,” White inherited the show’s hosting duties for two more years when Jarvis left in 1952. The same year she formed Bandy Productions with producer Don Fedderson and writer George Tibbles. Spinning off characters from a “Hollywood on Television” sketch, they created the domestic comedy “Life with Elizabeth,” White received her first of six Emmys. Syndication brought the program to national audiences through the mid-’50s. The series made White one of only a few women with creative control before and behind the camera in television’s early years. White went on to produce and host a daily NBC talk/variety skein “The Betty White Show,” garnering a Daytime Emmy nomination. Her second situation comedy, “A Date with the Angels,” premiered in 1957, then evolved into another eponymous comedy/variety showcase. White’s sly ribald humor made her an audience favorite on the late-night circuit, not only matching wits with Jack Paar (more than 70 appearances) Merv Griffin and Johnny Carson (including many “Mighty Carson Art Players” performances) but also subbing for all three as guest host. Her clever spontaneity also earned her spots on numerous game and talk shows, such as “The Match Game,” “To Tell the Truth,” “I’ve Got A Secret” “Liar’s Club” and especially “Password,” whose host Allen Ludden she married in 1963 after a persistent two-year courtship. When White and Ludden’s pals, actor Mary Tyler Moore and her producer/husband Grant Tinker, were casting about for a cloyingly sweet “Betty White-type” to guest star on their hit “The Mary Tyler Moore Show,” they ultimately decided to go with the real deal. White’s 1973 guest shot as the saccharinely catty, man-hungry “Happy Homemaker” Sue Ann Nivens was White’s entrée into one of television’s most iconic ensembles. The role relaunched White’s acting career and earned her back-to-back supporting actress Emmy and then a fourth Emmy nomination. After the series’ historic final episode in 1977, MTM created “The Betty White Show,” with White playing the second-rate star of a TV police drama. After its brief run, White guest-starred in the miniseries “The Place to Be” (1979) and such telefilms as “With this Ring,” (1978) “Before and After” (1979) and “The Gossip Columnist,” (1980), before breaking ground as TV’s first female game show host on NBC’s “Just Men.” Drawing on the lascivious persona perfected as Sue Ann Nivens, White earned the first and only Daytime Emmy for Best Game Show Host awarded to a female emcee. A second Daytime Emmy nomination followed in 1984. 1983 also saw White begin a three-year recurring stint on Vicki Lawrence’s “Mama’s Family,” reprising the role of social climber Ellen Harper Jackson she’d created in sketches on “The Carol Burnett Show” in the early ‘70s. 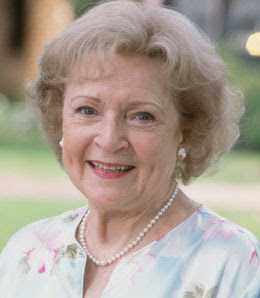 In 1985, at 63, White began what became the most lauded role of her career, the sweetly naïve Minnesotan Rose Nylund on NBC’s Saturday night hit “The Golden Girls.” White, along with co-stars Beatrice Arthur, Estelle Getty and Rue McClanahan, proved that great comedy transcended age, as did the series’ stellar ratings and countless honors including, for White, a first-year lead actress Emmy, six subsequent nominations and two Golden Globe nominations. She was to reprise the role of Rose on three other series: “Empty Nest” (1989, 1992), “Nurses” (1991) and “The Golden Palace” (1992–93). 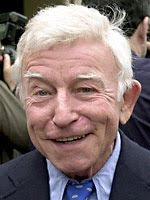 In 1991 White starred opposite Leslie Nielsen in the romantic NBC telefilm “Chance of a Lifetime” and subsequently shone in a variety of series, including with Bob Newhart in “Bob” (1993) and as Marie Osmond’s mother in “Maybe This Time” (1995). She won her fourth Emmy for her guest starring self-caricature on “The John Larroquette Show” (1996) and earned more Emmy nominations for guest roles on “Suddenly Susan” (1997) and “Yes, Dear” (2003). She played Alfred Molina’s mother in “Ladies Man” from 1991-2001 and recurred in “That 70’s Show” in 2002-2003. A 2007 TV Land Awards parody entitled “Ugly Betty White” led to a subsequent guest appearance as herself on the spoof’s target, “Ugly Betty,” with White going head-to-head over a taxi with Vanessa Williams’ Wilhelmina Slater. Other television guest appearances include “St. Elsewhere,” “The Ellen Show,” “Everwood,” “My Wife and Kids,” “Joey” and “Malcolm in the Middle.” She has voiced animated characters on “The Simpsons,” “King of the Hill,” “The Wild Thornberrys” “Father of the Pride” and “Family Guy” and in the feature “Whispers: An Elephant’s Tale.” White’s more recent films for television include “Annie’s Point” in 2005 for the Hallmark Channel, “Stealing Christmas” in 2003 for USA “The Retrievers” in 2001 for Animal Planet. With “The Practice” in 2004, White once again turned one-shot casting into gold. Her guest turn as conniving blackmailer Catherine Piper led not only to another Emmy nomination but also to a recurring return for White as Catherine on the subsequent David E. Kelley series “Boston Legal” (2005–2008). In 1999, White had guest-starred for Kelley on “Ally McBeal,” earning an American Comedy Award for Funniest Female Guest Appearance in a Television Series, and starred in his horror-film send-up “Lake Placid.” Her 2009 guest performance as the Crazy Witch Lady on “My Name is Earl” earned White her eighteenth Emmy nomination. White returned to the big screen in 2003 in the comedy “Bringing Down the House,” opposite Steve Martin and Queen Latifah and appeared in this year’s “Love N’ Dancing.”Earlier films include “Hard Rain” (1998) with Morgan Freeman and Christian Slater; “Dennis the Menace Strikes Again,” (1998), playing Mrs. Wilson opposite Don Rickles; and Rob Reiner’s “The Story of Us.” (1999). In December 2006, White joined the daytime drama “The Bold and the Beautiful” as Ann Douglas, long-lost mother of matriarch Stephanie Forrester (Susan Flannery). She has appeared 19 times since, most recently in October 2008. White narrated network telecasts of the annual Tournament of Roses Parade from 1954 to 1974 and the Macy’s Thanksgiving Day Parade for 10 years. Honors have been bestowed on White throughout her career. In 1976 she was awarded the Pacific Pioneers in Broadcasting Golden Ike Award and the GeniI Award from the American Women in Radio and TV. She was honored with the American Comedy Award for Funniest Female in 1987 and their Lifetime Achievement Award in 1990. In 1995 she was inducted into the Television Academy’s Hall of Fame. In 2006 she was profiled by the Paley Center for Media as part of their “She Made It” initiative honoring women creating television and radio. In August of 2009 she received a Career Achievement Award from the Television Critics Association. She was presented with a Disney Legends Award on September 10, 2009. White’s star on the Hollywood Walk of Fame rests adjacent to that of her late husband Allen Ludden, who sadly succumbed to cancer in 1981. Three of her five books directly connect to this passion: “Betty White’s Pet Love: How Pets Take Care of Us” (1983) and two co-authored with Tom Sullivan: “The Leading Lady: Dinah’s Story“ (1991) and “Together: A Story of Shared Vision” (2008). She published her first autobiography, “Betty White in Person,” in 1987, which was followed by “Here We Go Again: My Life in Television” in 1995. That life continues to unfold new chapters. “The 16th Annual Screen Actors Guild Awards” will be produced by Jeff Margolis Productions in association with Screen Actors Guild Awards®, LLC. Jeff Margolis is the executive producer and director. Kathy Connell is the producer. JoBeth Williams, Daryl Anderson, Scott Bakula, Shelley Fabares and Paul Napier are producers for SAG. Gloria Fujita O’Brien and Mick McCullough are supervising producers. Benn Fleishman is executive in charge of production. More information is available online at http://www.sagawards.org/. Screen Actors Guild is the nation’s largest labor union representing working actors. Established in 1933, SAG has a rich history in the American labor movement, from standing up to studios to break long-term engagement contracts in the 1940s to fighting for artists’ rights amid the digital revolution sweeping the entertainment industry in the 21st century. With 20 branches nationwide, SAG represents more than 120,000 actors who work in film and digital theatrical motion pictures, television programs, commercials, video games, music videos, industrials and all new media formats. The Guild exists to enhance actors’ working conditions, compensation and benefits and to be a powerful, unified voice on behalf of artists’ rights. Headquartered in Los Angeles, SAG is a proud affiliate of the AFL-CIO. More information is available online at http://www.sag.org/. TBS, a division of Turner Broadcasting System, Inc., is television's top-rated comedy network. It serves as home to such original comedy series as "My Boys," "The Bill Engvall Show," Tyler Perry's “House of Payne" and “Meet the Browns,” as well as the upcoming “Neighbors from Hell”; late-night series like the upcoming “Lopez Tonight,” starring George Lopez and “The Very Funny Show,” hosted by Tim Meadows; hot contemporary comedies like "The Office," "My Name is Earl," "Family Guy” and "Seinfeld"; specials like "Funniest Commercials of the Year"; special events, including star-studded comedy festivals in Chicago and Las Vegas; blockbuster movies; and hosted movie showcases. Turner Network Television (TNT), one of cable's top-rated networks, is television's destination for drama and home to such original series as the acclaimed and highly popular detective drama "The Closer," starring Kyra Sedgwick; "Saving Grace," starring Holly Hunter; "Raising the Bar," with Mark-Paul Gosselaar, Gloria Reuben and Jane Kaczmarek; "Leverage," starring Timothy Hutton; “HawthoRNe,” with Jada Pinkett Smith; and “Dark Blue” starring Dylan McDermott. TNT also presents such powerful dramas, such as "Bones," "Cold Case," "Law & Order," "Without a Trace," "ER" and "Charmed"; broadcast premiere movies; compelling primetime specials, such as the “Screen Actors Guild Awards®”; and championship sports coverage, including NASCAR and the NBA. TNT is available in high-definition.